Ok folks here we go! 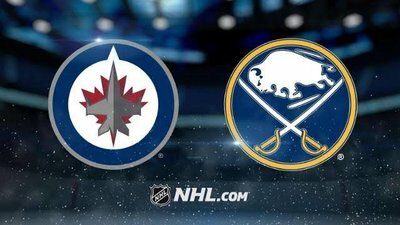 Our Sabres get ready to clip the Jets’ wings and ground them. Below is excerpts from the Winnipeg Sun and I thought it would be fun to see it from another perspective. Mr. Laine meet Mr. McCabe. Oh you’ve already met. Must have been a smashing conversation. I was out yesterday morning to do my homestand point watch, but we actually played a pretty good defensive game and secured 2 much needed points. Having lost to the Canes though 10 points may no longer be enough. Our maximum points is now down to 11. So we need to pull out at least 2 more wins, and at least 1 point in every game remaining. Hopefully we look a lot more like yesterday than we did on Thursday. It's another afternoon game, and we seem to play pretty well in those this season. Once again we MUST WIN! Columbus won again last night. Do you think we can end up with a better record than Pitt? I think today really is a must win game. I am also starting to think that it might not be a bad idea to trade Skinner and then try to sign him in the summer. This does not look like a year we are going to make the playoffs with all of these wild card teams that keep winning. Montreal and Boston will not be caught and Columbus just seems like they are not going to drop either. Pittsburgh will eventually put it together and make a run which would leave Buffalo out in the dust. With all the angst on this site recently, if you had told me we would be tied with Pittsburgh with a victory today and possibly tied for 8th in the conference at the beginning of the year, would anyone in their right minds have turned that down. Even with the OT loss to the Hurricanes the other day, the chance to watch a meaningful game in February was nothing short of awesome for me. It also cracks me up when it's stated that we're not playing the young guys, if I'm not mistaken we have basically 5 rookies playing in the lineup yesterday, Tage, Ullmark, Casey, Rasmus and Pilut and we're only 2 points behind Pittsburgh. It's looking to me like expectations have overtaken reality a bit here. This is all happening with the other teams no longer taking us lightly, point in fact we get Hellebuyck in goal today, most likely against Hutton, who is due for a comeback game. He has to see the writing on the wall and wants to be relevant on this team again. The Jets have been awful these past 2 games after losing to San Jose in OT. Both games they were down 5-1 before scoring a meaningless goal in the final minute. Beer, kubasa and perogies, I'm ready for the game. I also have cabbage rolls (holobchi) and some Jack Herer. The Jets have lost 3 in a row (regulation) for the first time since the 2016-2017 if I'm not mistaken. Here's to a good clean game where nobody gets blown out. The Jets have lost 3 in a row for the first time since the 2016-2017 if I'm not mistaken. Good Irish boy I see. On a cold winters day I would expect a little Kapusniak. 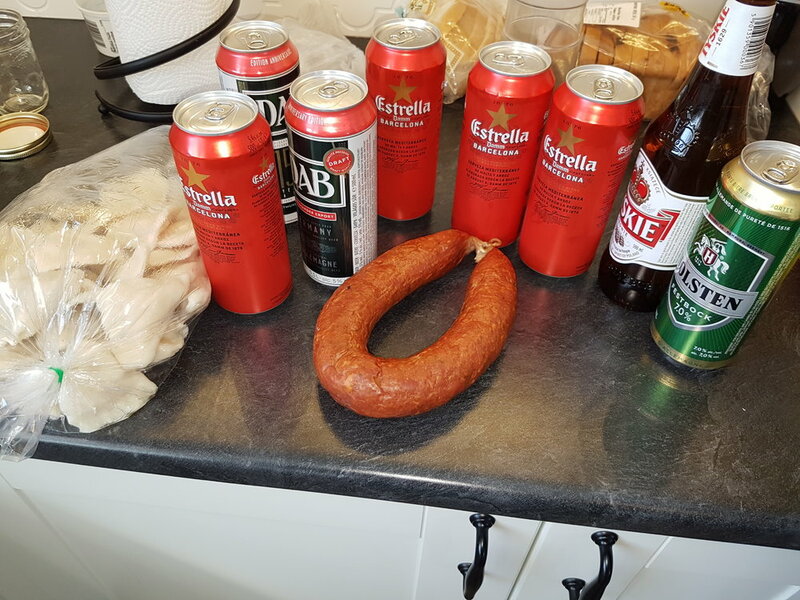 I've had the Zywiek and Tyskie beer. I liked both. I have not tried any of the others you have in the pic. It has warmed up to -30 with -32 with the windshield. Mexico still can't come soon enough! 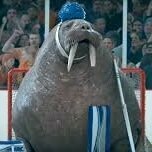 The way they have been playing lately, they would be happy to make it to overtime. Estrella is not a bad beer, one of the few besides stella artois I actually like. what a ridiculous idea...trade your top goal scorer while 2 points back of a playoff spot with 28 games left....and if you trade him, do you really think he'd come back here? Estrella is my favorite but I want to try more Inedit. Yeah I mostly drink stella artois the most. https://www.hetanker.be/en/gouden-carolus-tripel one of my favourites from over here. Friday while playing darts I did 9 duvel , couldn't do more had to work in morning. http://www.duvel.com/en/the-beer/duvel very popular over here to. 8.5% though. I am going to see if that Carolus is available here. Ok, here's what I think on a broken stick play. The player should race for the bench and be immediately replaced by another player. The new player can jump on the ice before the broken stick player gets to the bench so it would be real quick transition. Better than leaving a guy out there without a stick. We really could use a winning streak right now. No work tomorrow! 8pm start. Vodka is my choice tonight! 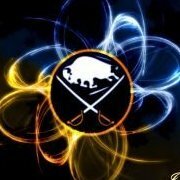 Go sabres! Hopefully Bogo welcomes Lemieux to Buffalo. Let's hope the Sabres put me in a good mood for it. Vodka in Scotland? Is that allowed? This is basically the best opportunity this team has had to get two in a row since afternoon games are their bread and butter. Winnipeg is a tough team though. And they always play Buffalo well, especially in Buffalo. Lemieux has 6 goals in his last 9 games so I hope he greets him with a pizza!